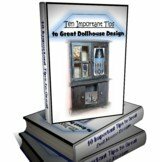 How we started At-the-Doll-House.com: Are you like us in anyway? A great e-biz idea gets your attention immediately? Meaning: You know that a web venture is possible but have no idea "how-to" go about it? You're mystified. However, You simply know that people out on the net are making money? Yes we all realize that some individuals are making a tonne of money. Mostly because we have spent "our" money to possibly find out what they know. And we all hope that the opportunities we invest in will pay off and we will indeed begin to succeed ourselves online. Sound familiar? Is this your story? In our travels we encountered many individuals simply looking for a job to be offered to them so they could begin to work their dream in real life. Constantly we found people who were being told that there were no jobs on the net. And basically, we do not want to burst your bubble, but for the most part there are no real J-O-B-s on the web. Not unless you encounter a man or woman willing to take a chance on you and hire you via this web channel and you ultimately end up working from your home for him or her. That situation is rare today. So if you do find such an occasion with the right price on it, jump on it and begin. However there is some very good news. Your biggest Internet Business Opportunity comes directly from you and what you create. And that element is so controllable by you. Other elements can elude a person, but this one doesn't have to. Travel on to Part 2: Create the Small Internet Business Opportunity of Your Dreams.